Times will come for every computer user where a device will diminish in performance. Years ago, we were taught to “defrag our drive” or delete extraneous data. Today, these issues are considered obsolete, where malware has become the typical culprit for poor performance. Yet, this isn’t always the case. All computers, regardless of platform or brand, are all subject to hardware failures that diminish performance. Though software issues are usually revealed from malware scans, underlying culprits for poor performance become apparent after a successful malware removal or when a scan reveals a clean system and operation continues to suffer. 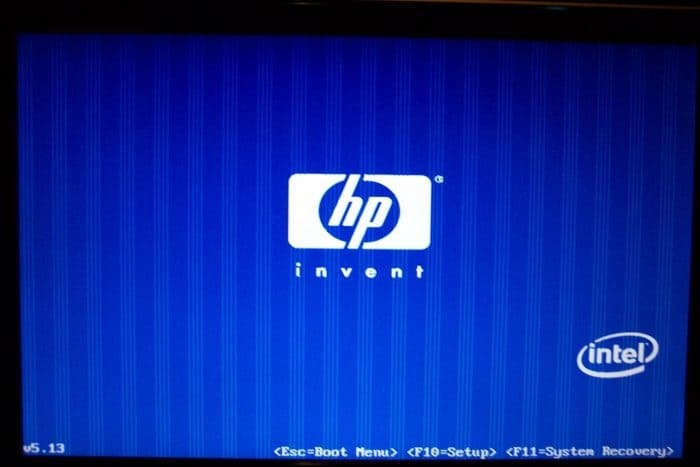 With all that said, it’s important to assess a system’s hardware via onboard diagnostics or with a third-party system to determine the integrity of the components in your computer, especially when performance is lacking. Most modern PCs include built-in diagnostic tools for triaging hardware components within a system. We’ll take a brief look at the general procedure for accessing these tools on Windows-based machines first. Some computers will have an accessible program within Windows that runs inside the operating system. However, most tools are accessed when the computer is first powered on, during what is know as the “POST” process. Either look around the case of your computer find the model number or find it by using System Information – the quickest way to get there is by pressing CTRL + R to pull up the Run dialog then type misinfo32 and press Enter. You should see your computer model in the System Model field, unless you have a custom-built machine. Enter this info into Google as pictured above and one of the first few results should show where to access the diagnostics. Generally, you’ll need to reboot your system and press a button to access a menu where you’ll find diagnostic tools. For example, on the PC used to write this article, tools are accessed by pressing Esc as the computer boots, followed by F2, then selecting the hardware test option from the menu. After the process concludes, you’ll see information about the status of the components tested. It’s best to write this info down (or take a clear picture of the screen with your phone) as most systems write this information to a volume that’s not easily accessible while inside Windows. As seen above, I had to pull the information from my test using PowerShell. If you’d like to do the same, follow the instructions from this short video to learn how to read text files stored in hidden volumes. When the hardware test concludes, a results screen should tell you the exact nature of the failure. Though this doesn’t appear in the log seen in the last image of the previous section, I can Google these entries to learn the meaning of the code. However, I know the failure codes are related to the hard drive, which explains why this computer seizes up. You’ll find several third-party tools for hardware diagnostics on the web. The two main problems are that not all of them are good and not all are free. However, the people at Lifehacker have a great post featuring tools that are free and easy to use. Most tools come as .ISO file, which are disk images you boot into, rather than running the software from within Windows. You’ll need a free tool such as PowerISO or ImgBurn to burn one of these items to a disc (i.e. usually DVD). Each has an unpaid version for basic features and is simple enough to use, even for a novice. To learn how to burn a .ISO image with PowerISO, click here. To learn how to burn a .ISO image with ImgBurn, click here. Learning what is affecting your PC performance is the first step to resolving the issue. 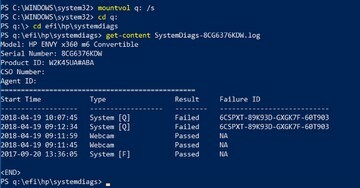 Typically, frequent hangs while in Windows is indicative of a hard drive failure – confirming this or failures in other components is helpful prior to calling a professional, attempting the replacement yourself, or sending the device to service center for warranty repair. Give us a call at 1 (770) 936-8020 or send us an email at info@widedata.com so we can help you resolve your hardware issues. Contact our Boulder or Atlanta offices for more information.